Nov. 26, 2018 12:50 p.m. Many local ski hills were able to open last week and a bunch of fresh powder since then has left many runs ready for you to enjoy your first ride of the season. Big White Ski Resort near Kelowna is reporting 25 centimetres of fresh powder in the last seven days with an alpine snow base of 79 cm. Vernon’s Silver Star Mountain Resort is reporting 26 cm of fresh powder in the last week with an alpine base of 94 centimetres. Sun Peaks Resort near Kamloops enjoyed 10 centimetres in the last 24 hours and 21 cm in the last week with an alpine snow base of 84 cm. Revelstoke Mountain Resort is gearing up to open Dec. 1, 2018. The mountain received a whopping 38 cm of fresh powder in the last week with a base depth of 100 cm. Apex Mountain Resort is priming the mountain and getting ready to open Dec. 8, 2018. It saw three centimetres of fresh powder in the last week with an alpine snow base of 13 cm. While Oliver’s Baldy Mountain Resort is currently planning to open its runs on Dec. 7, 2018. The South Okanagan hill saw 23 cm of fresh powder in the last seven days, now holding an alpine snow base of 20 cm. 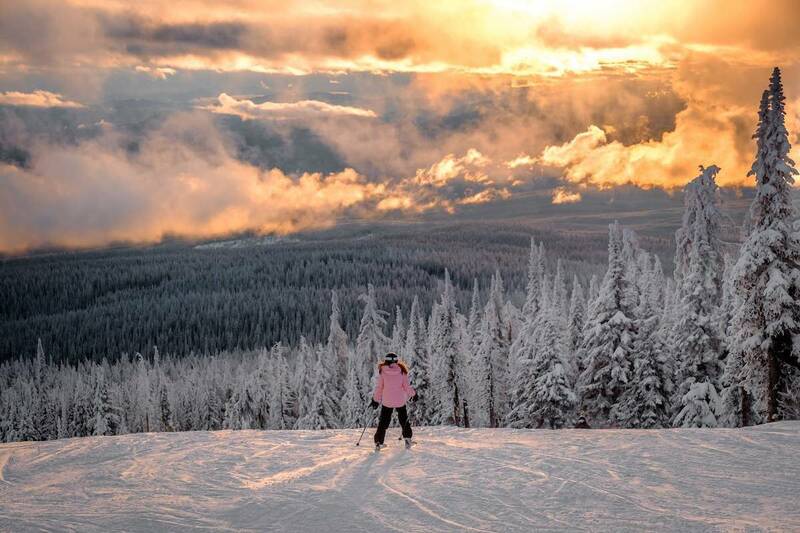 Send us your best snow season photos by clicking Contact at the top of the page!